In the competitive world of the food industry, very few food businesses can claim they have lasted more than 10 years. Khaleb, a homegrown shawarma brand, is one of those outliers. In fact, Khaleb outlived most of its contemporaries that came out of the woodwork when the “shawarma craze” hit the nation a few years back. “Before shawarma even became a ‘craze’ in the local food scene, we were already in business,” shares Ma. Marlene B. Varquez, president and CEO of Khaleb Shawarma, Inc.
Khaleb started out as a humble family business back in 2003, initially operating within an apartment compound in Quezon City. “We primarily set up the business to gather additional income to fund our college education,” recalls Beejay D. Burog, the company’s chairman and general manager. When Khaleb was founded, Varquez and Burog were still studying at the University of the Philippines Diliman. “When we were starting out, most of the financial and operational support for the business came from both our mother and grandmother,” recalls Varquez. But Khaleb has come a long way from its humble beginnings 15 years ago. 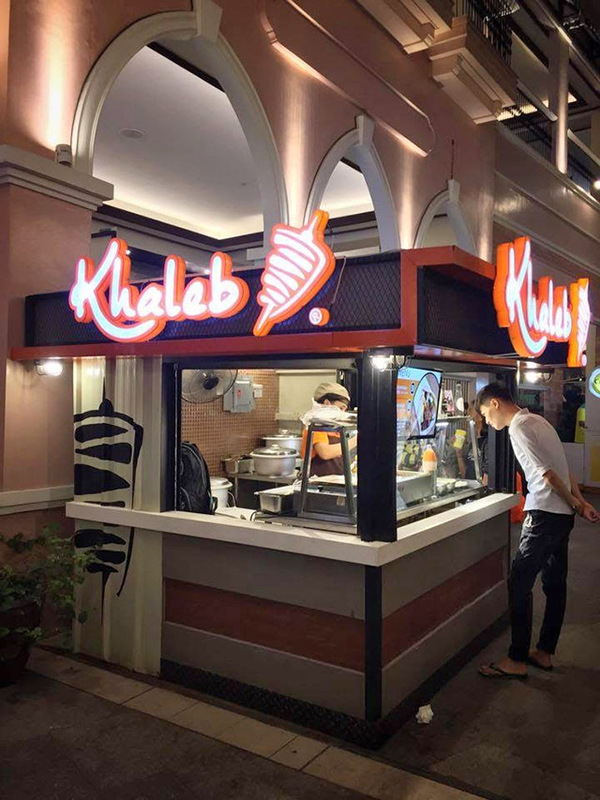 From its first branch in Manila, Khaleb has since grown to over 100 branches nationwide, becoming a common fixture in major malls, supermarkets, and even transport terminals. “We want to offer Filipinos a flavorful and satisfying shawarma experience that they can afford—that has never changed for the past 15 years,” adds Varquez. What’s the secret to Khaleb’s continued success? Read on to find out. Even if the business started out as a “side hustle” for both Varquez and Burog, they knew that they had a strong business concept that can be further developed and expanded. “For us, Khaleb is more than just a ‘spur-of-the-moment’ kind of investment. We are in this for the long haul, and we want to be the best in the segment,” adds Burog. As such, even when the “shawarma craze” eventually fizzled out, which forced most of its contemporaries to close shop, Khaleb held its own and operated steadily amid a rather volatile time in its segment’s history. “All our business decisions are made with keen attention to details. For us, it didn’t make sense to close shop just because the trend has died down. The more effective solution for us was to persevere and to continue improving our brand and our food offerings to make them more appealing to Filipinos,” explains Varquez. Indeed, this perseverance has paid off. Today, shawarma and Mediterranean cuisine in general are making a resurgence in the local food scene. “We have seen the highs and lows of the segment. The knowledge we have gained for the past 15 years gives us a significant advantage against the competition, old and new,” says Burog. One of Khaleb’s missions as a food business is to provide superior quality products, a feat which can only be achieved by using the best quality meats and ingredients in the market. “To make this possible, our team is always two steps ahead when it comes to improving and perfecting our supply chain,” says Varquez. Khaleb imports essential ingredients, such as marinated meats and authentic herbs and spices, to ensure that the best product quality from its commissary reaches consumers. “This also prevents product shortages, which usually happens when you depend on local suppliers,” explains Burog. But for Khaleb, quality shouldn’t come at too high a cost. As such, the company also employs different strategies to ensure that it always gets the best prices for its essential ingredients without sacrificing product quality. “We usually order in bulk so that we can lock in the best prices from our suppliers, always taking into consideration the optimal shelf life of the goods that we order. It is also a recession-resistant strategy that will benefit our franchisees,” adds Varquez. Related story: Piolo for Turks, DJ for Shawarma Shack: Who Did it Better? In the food industry, competition gets tougher every day as more food businesses join the fray. Khaleb was able to thrive for as long as it has because it understood the importance of keeping the brand fresh and relevant. Recently, as an addition to its roster of food kiosks and in-line stores, Khaleb also launched its first full-service restaurant that has an expanded menu offering. 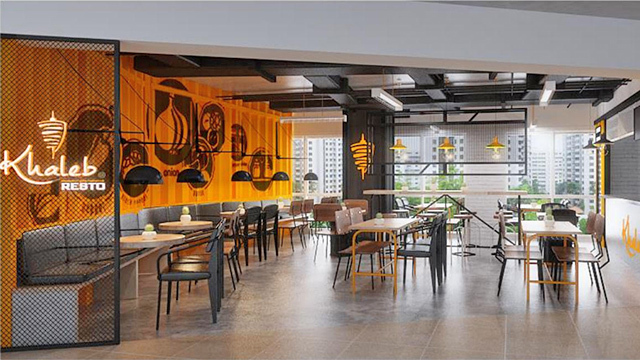 “Our vision now is to become a world-class group of restaurants that continuously innovates and provides unique and incomparable products and services to our customers,” explains Burog. Not limiting itself to their tried-and-tested shawarma recipe, Khaleb also regularly introduces fresh takes on traditional shawarma meals and Mediterranean cuisine. Khaleb offers unique signature menu items such as the Pitazza, gyro pita, fish kebab, salad and yoghurt smoothie, just to name a few, which are rarely offered in other shawarma places. In line with its continued business innovation and expansion, Khaleb also refreshed its branding and image to appeal to a younger crowd of foodies. 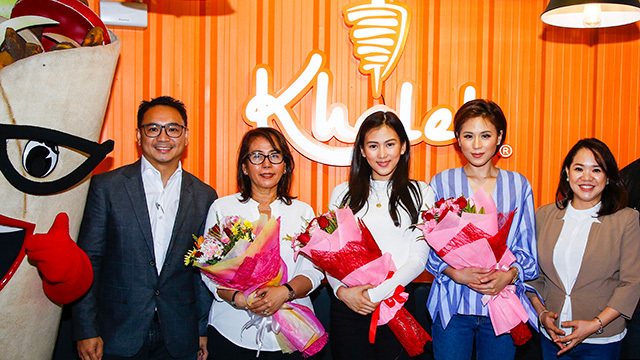 Just this August, Khaleb signed on celebrity sisters Toni and Alex Gonzaga to become its official brand endorsers. Khaleb is still expanding strong via franchising and the good news for aspiring franchisees is that they are offering pre-approved locations and conversion of company-owned outlets to franchised outlets, helping prospects speed up the application process. Khaleb even waived its royalty fees to make the business more profitable for its franchisees. “Our ultimate advocacy is to empower more Filipinos through entrepreneurship. We have faith in the Filipino entrepreneur, and we want to develop more Filipino entrepreneurs through franchising,” explains Varquez. Velle Cacha is the Marketing Manager of U-Franchise Sales & Management, the largest franchise sales company in the Philippines.